Please select a size. 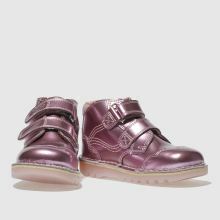 UK 5 - Low Stock Please select a size. 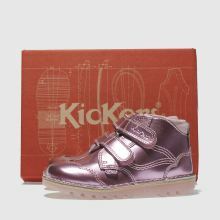 This statement Kickers boot is ready to take your little ones style into shiny new realms this season. 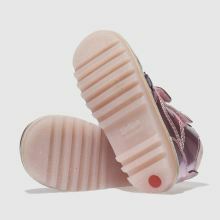 Crafted with a patent leather upper, the pale pink Flo Hi boasts a metallic sheen with scalloped edge overlays and touch fastening straps for easy wear.